Singapore is celebrating its 50 years of independence this year. And I must say I have never been more proud of being a Singaporean than this day. What I have today I have to thank my pioneers, who worked hard to make Singapore what it is today. We are enjoying their fruits of labour now. My children will never understand the instability, uncertainty and even chaos in old days. Neither will I! I was born in 1978. And I have to say my generation is a very special and privileged bunch. Why? Well, we were caught in the transition between old and new. We have seen the development of our transport, telecommunication and technology, we partied, celebrated and survived Year 2000, we have done and seen so many things. And Singapore has changed a lot. My dad used to be a contractor in the 80s. He specialized in replacement of window panes and plumbing. When I was really young, I used to tag along with my parents and they would travel all over Singapore in search of jobs. Every time we reaches an estate, both of them would go floor to floor to distribute fliers to every single household. I chipped in as well. It was hard work but whenever I take a trip down memory lane, I wish I was back there running around and just having fun. Life was simple but fulfilling. While he does his work, I would hang out at the playground at that estate. 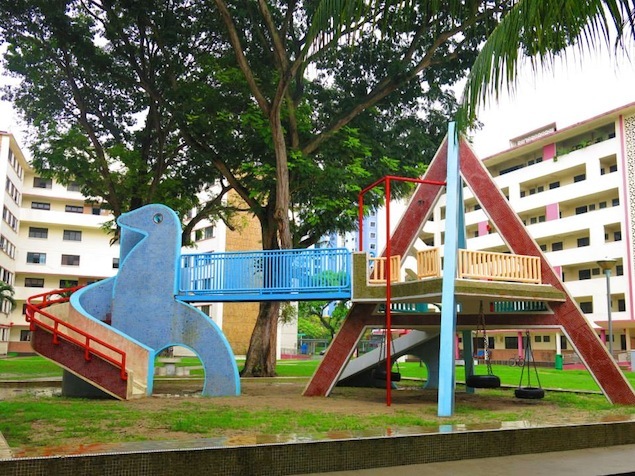 So you can say I have played in almost all the playgrounds in Singapore. North, South, East and West, you name it, I was there. The Hillview estate and Neo Tiew HDB were memorable ones as they were little villages hidden in the middle of nowhere and away from busy Singapore. To me, it was like going to Enchanted Forest and having an adventure every time I set foot in both estates. Photo courtesy of A busy mom's blog. So I have seen many estates in Singapore. And I know how far Singapore has come. Old housing blocks gave way to newer apartments and condominiums. My favourite hunts were gone. 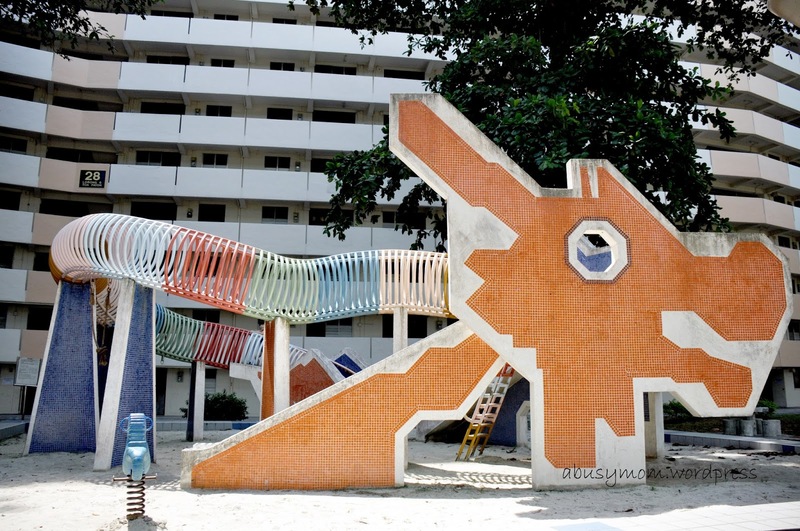 The old-school concrete playgrounds were replaced with foam padded flooring, plastic slides/structural ones. How I miss the days of playing hide-and-seek and "catching"! The landscape continues to evolve as I grow up. I served my NS, had a job, started a family. and have my own children. Sometimes when I look at them, I feel a deep sense of loss. "Oh boy, you guys don't know how much you are missing!". And it's not that they actually bothered, too busy having fun! If I can send my kids back to the 70s-80s, I would do it! So here I am, in the perfect place and perfect time to celebrate Singapore's jubilee. I was hoping to see Mr Lee at the National Day Parade this year but sadly, it was not meant to be. He and his team deserves all the credits and accolades there are. Mere words cannot express my gratitude towards them. If it is not for them, I won't be have what I have today. The foundations they build became formidable pillars for future generations to build on. And for us, all we can do, is to carry their dreams even further. Our Home, Our Heart, Our Singapore.